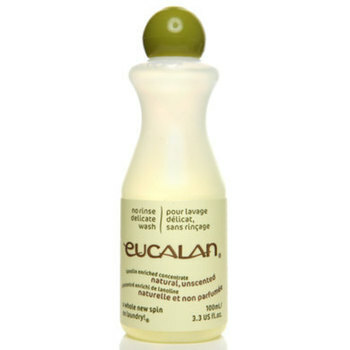 Eucalan's No Rinse Delicate Wash is suitable for all natural and synthetic fibres and is scented with natural essential oils. 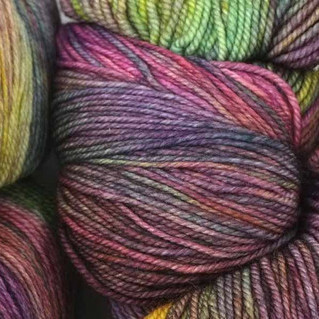 Enriched with Lanolin, it will keep your garments (and your hands!) conditioned and static free. It contains no bleach, phosphates, petro-chemicals or any synthetic dyes or fragrances. It is non-toxic, biodegradable and produced in recyclable bottles. Eucalan's 'no rinse' formula means less water, less energy use and less 'agitation' - saving you money as well as protecting the environment and your laundry. Each 100ml bottle will give you approximately 20 Hand washes. Grapefruit - A natural antiseptic, with a refreshing and uplifting scent. Great for wool and most other natural fibres but does not contain moth inhibiting properties. Lavender - A calming and relaxing scent, with a natural defense against moths and fleas. Excellent for wool and other natural fibres and for storing garments away for a period of time. Natural Unscented - No added scents so is the best choice for those with scent sensitivities or who prefer their garments to be unscented. 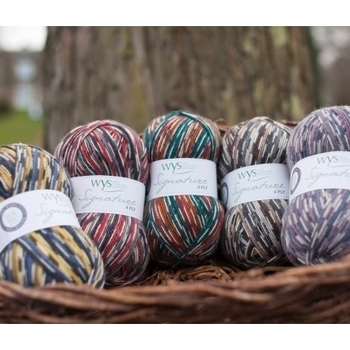 Great for wool and most other natural fibres but does not contain moth inhibiting properties. Wrapture - Jasmine - Eucalan's latest edition, infused with the essential oil of Night Bloom Jasmine. Jasmine oil is a natural antiseptic making it perfect for your delicate fabrics.